Another unexpected find. These benches must be at least almost a century old, for they bear the emblem of a company that helped to build and run this stretch of track long before anyone thought or tried to stitch together a single, unified Underground. They’re on the Hammersmith platforms that are served by the Hammersmith and City and the Circle lines. It’s a chunk of the network that’s been subject to a number of revamps and rebrandings during the last 150 years. Decades ago it was the Metropolitan line that terminated here; centuries ago it was the Hammersmith and City Railway. Each name change brought its own batch of new signs, furnishings and corporate clutter. Much will have been cleared up and thrown away down the years. 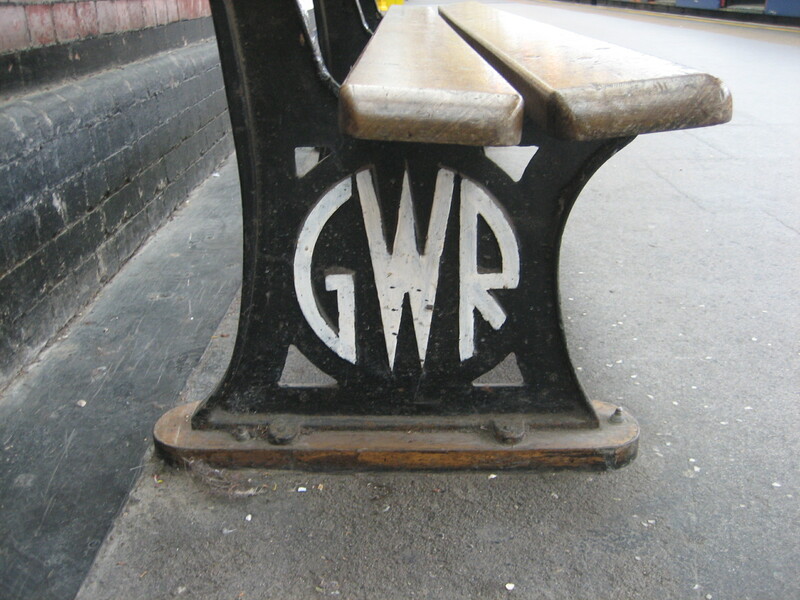 But these benches have somehow survived, and they bear the imprint of the Great Western Railway: the company that helped build this bit of the line all the way back in 1863-64. GWR: God’s Wonderful Relics, Granted Wise Reprieve. The Gas Works Railway (IT was SO full of itself, that it was under-appreciated by other, so loudly did it publicise itself!) … didn’t introduce that design until weel after the “Grouping” of 1923 – probably about 1936 I’d guess. It was known as the “shirt button” logo (as it usually appeared within a circle) and first appeared on coaches in 1934. Thanks for the clarification, chaps! So when did the last GWR train actually run to Hammersmith? 10th August 1863 would have been the last date that the GWR worked trains on the Met. 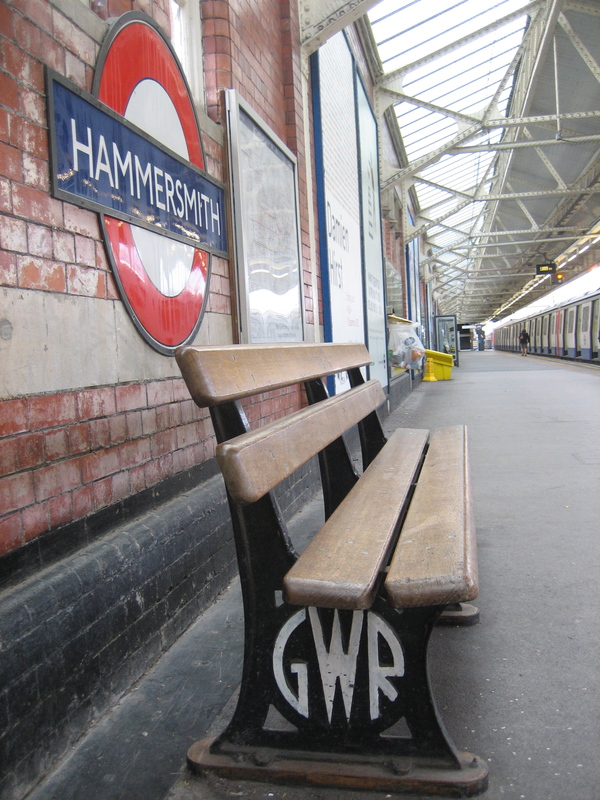 How this seat came to be at Hammersmith is a mystery as it is post 1936. Could they have been surplus to requirement when Westbourne Park main line platforms were demolished?